Founded by a small group of casino players, Bitstarz casino exploded onto the online casino scene in 2014 and have been blazing a trail ever since. Having been the first online casino to offer both traditional currencies and Bitcoin, Bitstarz was a breath of fresh air in a stale industry. And yes, this is a Bitcoin casino. From this sound base, they’ve built a casino with an impeccable reputation for integrity, customer support and of course, FUN! One of the best things about Bitstarz is that, while they are incredibly efficient, they don’t take themselves too seriously. There’s a great sense of humor on the site which is a rarity in an online casino. It’s a place where customers can relax and unwind while every effort is made to make them feel comfortable. Now, players from Singapore can also enjoy this superior online casino from the comfort of their own home, cell phone or tablet. More than 950 superb games from over 20 of the industries leading software designers are at Bitstarz casino. Some of the notable highlights include the addition of Provably Fair games which are provided by Softwiss. These are games in which the random algorithm can be verified by players after each result is published. We also enjoyed their wide variety of Baccarat options, with many different versions available. The visually stunning Live Casino is a standout as well, giving users and immersively real gameplaying experience. It’s tough for any online casino to match what Bitstarz offers players in term of welcoming packages, promotions and loyalty rewards. 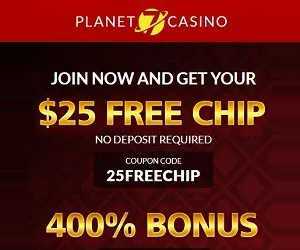 Registered players are welcomed with open arms and 20 free spins, without even having to make a deposit! Their first deposit will be matched 100% up to 1BTC (or $100) + an astounding 180 free spins! Bitstarz is renowned for lucrative Leaderboard Tournaments, with automatic entry to all clients. Tournaments are in Extra Wars (provider of the month games), Slot wars, Table Wars and Slot Battles. Every Monday, players get a 50% reload bonus of up to $50/250mBTC. Just make a deposit, and your account is automatically credited! Every Wednesday is Free Spin Wednesday! All players have to do is make a deposit and wager the same amount before midnight. 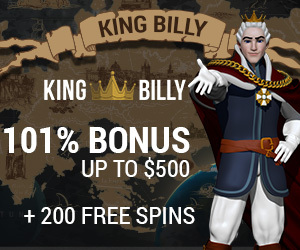 The free spins are then allocated before noon CET the next day. The number of spins is dependent on the amount deposited and wagered. 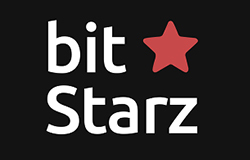 Bitstarz has a wide variety of methods to fund your account and to cash in your winnings. For players from Singapore, the option of being able to deposit in USD and Bitcoin or there are of course a host of other traditional currencies accepted: Euro, Norwegian Kronor, Swedish Kronor, Chinese Yuan, Russian Ruble, Australian and Canadian Dollars. For Singapore locals Bitcoin, Skrill and Neteller could well be the most convenient methods offered for depositing and withdrawing, (Credit cards, Bank Transfers, and many other choices are on offer too). Just please note that you need to withdraw in the same way that you deposited. A testament to their innovation, Bitstarz made it a company policy to employ only Support staff with a minimum of 3 years experience in the online casino industry. These are not only industry experts, but before they deal with clients, they have to know the Bitstarz site inside out. They’re called support heroes for a good reason, daily going above and beyond the call of duty ensure clients are happy. 24/7 live chat and email support is available ([email protected]m). For clients who wish to speak telephonically, there is a “request a call” form – just fill it in, and the Bitstarz team will call you at your requested time. Bitstarz is a casino in which the owners have put there heart and soul into, and it shows. Never resting on their laurels and striving for constant improvement is the key to their well-deserved success.